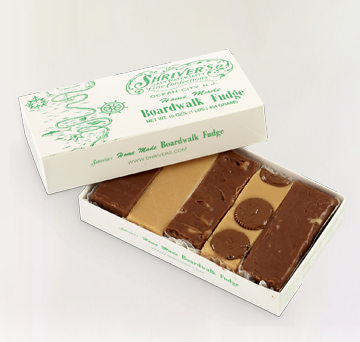 Our fudge is made fresh daily on the premises using only the finest ingredients. 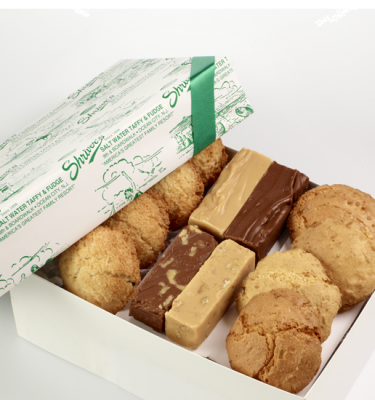 Our secret is in the age-old recipe passed on for over 100 years! 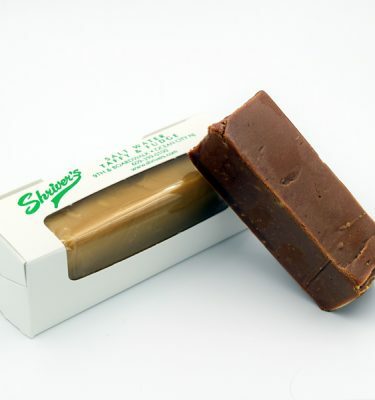 Each bar of fudge is approximately ¼ lb. 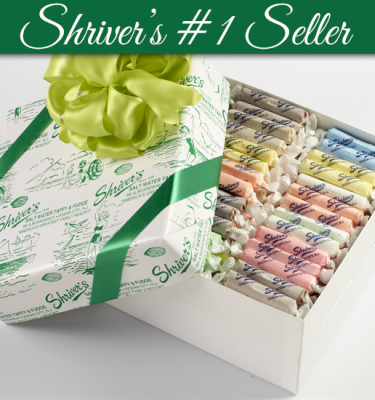 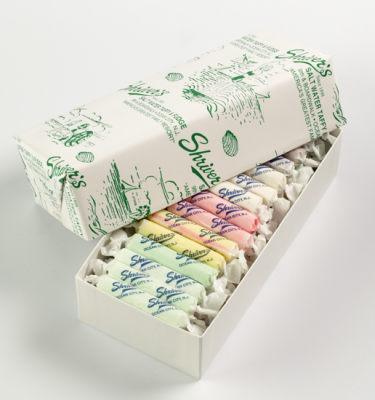 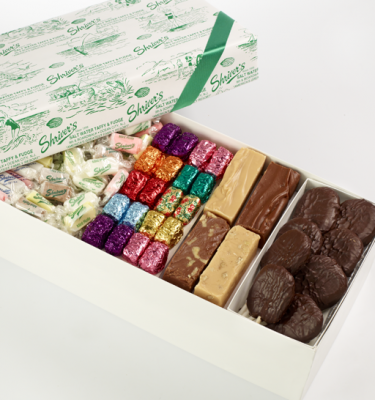 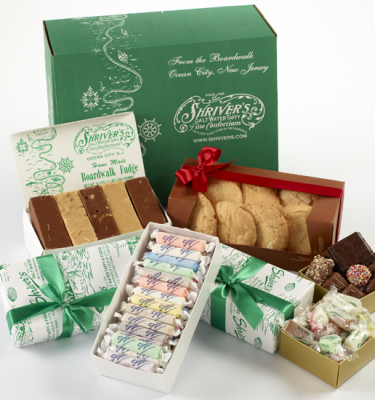 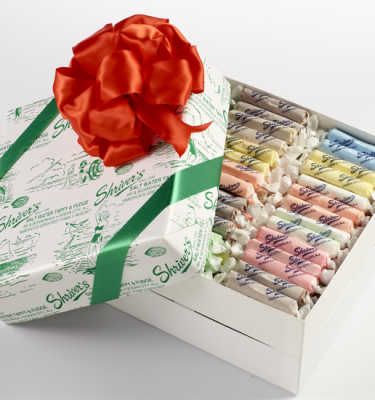 The Gourmet Box is perfect for any fudge lover, with a selection of our most delicious flavors. 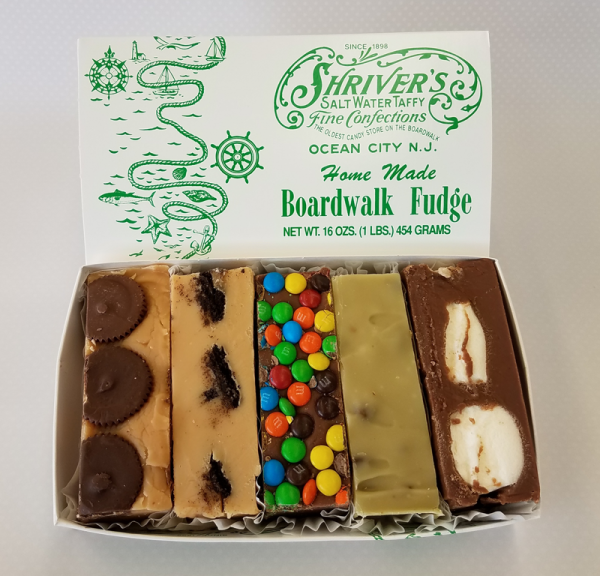 The Gourmet Box contains one bar of chocolate marshmallow, chocolate M&M, cookies ‘n creme, pistachio, and peanut butter cup.